Observation - PALE BRINDLED BEAUTY ? - UK and Ireland. Description: Smallish light brown moth,narrow triangular shape at rest,two blackish bands across wings. 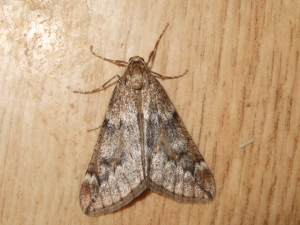 Smallish light brown moth,narrow triangular shape at rest,two blackish bands across wings.